Product ships in 2-3 days from payment completion. SKU: EX84B. 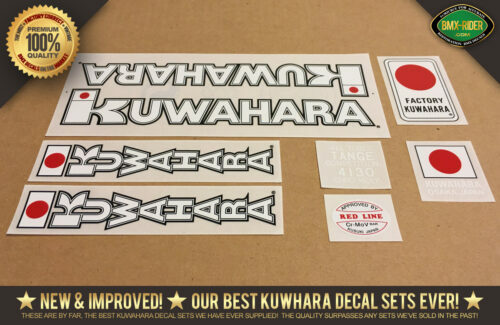 Categories: Exhibitionist, Kuwahara Decal Sets. 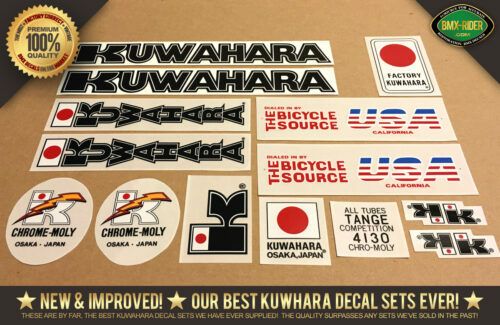 Tags: 1983, 1984, EX, Exhibitionist, Freestyle, Kuwahara. 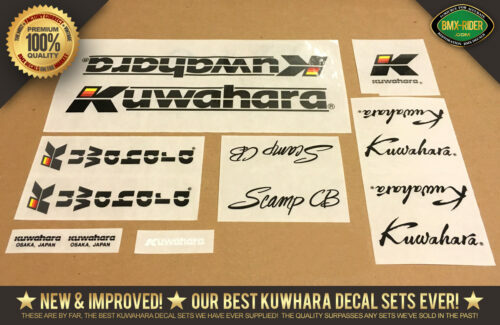 You will get 1 (one) New Kuwahara EXHIBITIONIST decal set in Black. 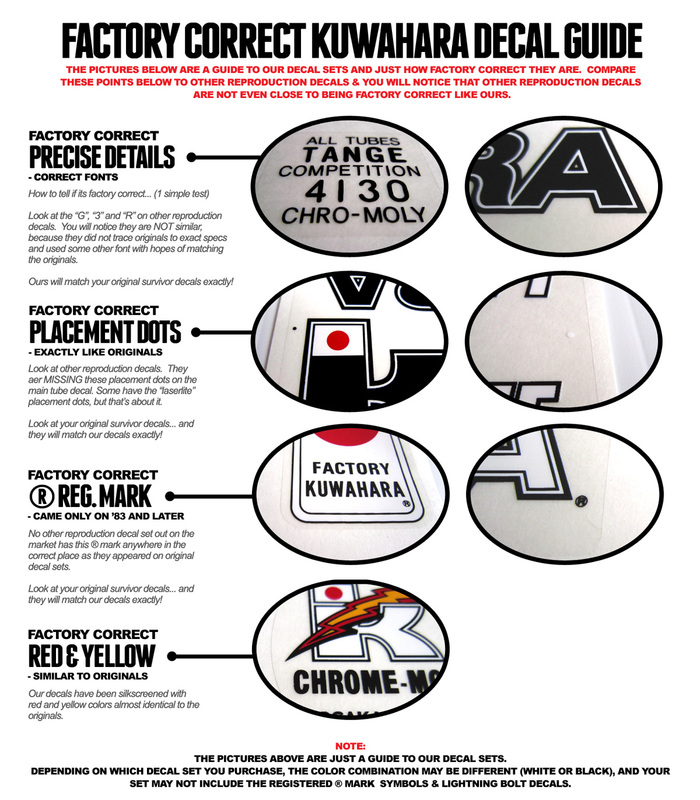 Correct for 1984 & 1985 Kuwahara EXHIBITIONIST freestyle models. 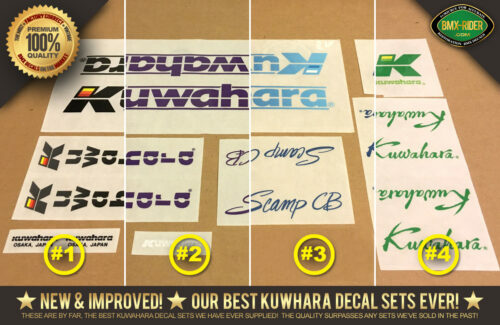 BONUS – Includes 4 “K” peg decals, and 1 “K” bottom bracket decal – Just like Factory Originals.